Pile of Pots: Drawing by In Young J. 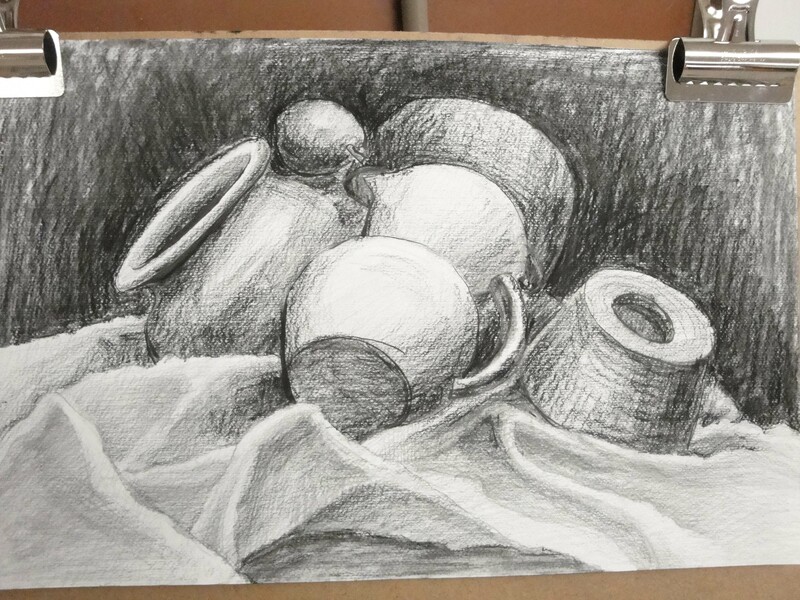 Of all the students in my drawing class, In Young J. did the most literal study of this still life. An advanced student, she quickly blocks in the composition, mindful of perspective and overlapping forms. This is easy for her. 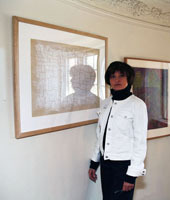 She works in pencil, lightly working various passages over and over to adjust the relative values of the drawing. She tends to hold the pencil way back and swing it lightly, as she tunes the values of her shapes. This drawing occupied all her time in this three-hour class. I did not take a photo of the set-up (but you can see an accurate representation here in In Young’s drawing) for the simple reason that I had no time, being totally engrossed in the work of my students. It was an exciting class. How could this be? How can a pile of pots inspire such good work? This post is the first of seven about the work done by the seven students in that class. Each deserves to be looked at and studied. In tomorrow’s post I’ll talk about the instructions I gave to the class and the reason for piling the pots up in this random fashion. Stay tuned.